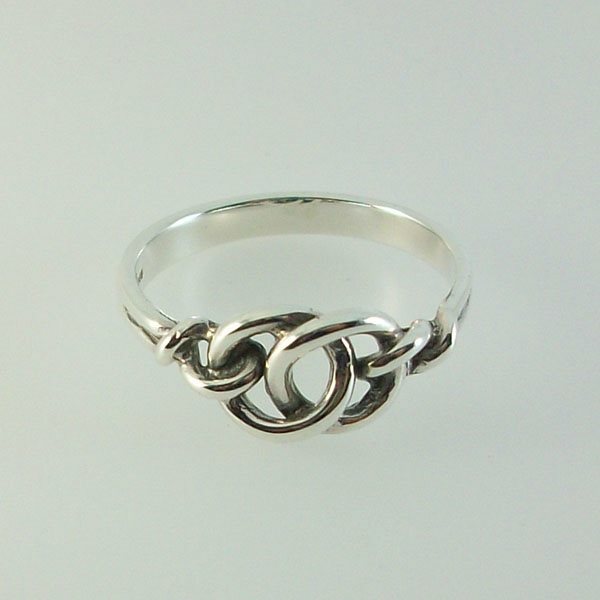 The Isles ring celtic intertwine design, with having no beginning and no ending symbolising everlasting life. Celtic design created by John M Hart 1973. I was so hooked on your designs after a holiday in the Western Isles over 30 years ago, that I saved up, and bought a few items over the following few years. In those days, this ring fitted my fourth finger. Now, creaking joints mean it can only be a pinky ring, but I still love it.